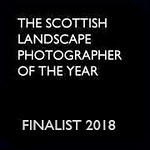 Welcome to my web site of Scottish landscape and cityscape photography. Here you will find a selection of images which try to encapsulate the splendour of Scotland’s rural and urban landscapes from a personal and hopefully fresh perspective. Whether you live in Scotland, have visited on holiday, have seen it on film or tv, or are just curious to know what it is like, I hope you enjoy browsing through these photographs and perhaps find inspiration to explore some of the locations yourself. My photographs are organised into folders and galleries, which focus on different themes or locations.